Jeans. The world’s greatest stylistic achievement. Rugged. Comfortable. Dependable. Gloriously adaptable to the whims of fickle fashion nonsense, anywhere in the world. Soft shells. High-tech fabric that’s tough on the outside, but soft on the inside; comfy, stretchy, weather-resistant, super-breathable, quick-drying, wrinkle-resistant miracles of the textile industry that’ll make you never want to wear cotton ever again. Thus, as you may find yourself pondering at this moment, combining the two would represent something of a traveler’s holy grail; a super-comfortable, low-maintenance article of clothing that’ll look great at all hours of the day and night, and shrug off whatever shenanigans you subject them to, whether it’s an impromptu rock climbing session, or spilling beer all over yourself. Soft shells were developed for mountaineering, to handle sharp rocks without getting a scratch, but work perfectly for scruffy backpacker travel as well. For many years I dug around all over the depths of the internet in search of soft shell jeans, but they remained infuriatingly elusive. Silly-looking hiking pants could be found all over the place, but dammit, why couldn’t they look normal?!?! In the last several years, my psyche has healed, as the options available in this category have increased, from zero to more than zero, and I could not be more pleased. What can a soft shell do for me? Soft shell vs. cotton. When I said water resistant, I meant it. The good: Soft shells are soft and comfy on the inside, but super strong on the outside; they’re super stretchy, like yoga pants or pajamas; they’re highly weather resistant, shrugging off most rain (and beer, wine, coffee, and so on), but remain extremely breathable; they can be hand-washed in a sink, and hung up to dry by morning, and resist wrinkles quite well, making them vastly more practical for ultralight travel than a pair of cotton khakis. And even when compared to standard hiking pants, they still win; they’re stronger, more weather resistant, stretchier, and usually quite a bit more comfortable. The fabric is usually a bit thicker and more substantial, so they feel more like “regular” pants, and have none of the swooshy sound effects of most outdoor gear. So while most hiking pants just sit in the closet at home, most people who try soft shells for the first time refuse to wear anything else thereafter. The bad: They’re really expensive…like, $200 for a single pair. Worth it? Maybe. The more you take advantage of their weather-resistant, quick-drying, super-durable features, the more it’ll make sense to invest in some, especially if you just want one thing that’ll work in all situations…except for what they can’t handle: Cat claws. Those furry lil bastards can latch on to threads and pull them out, and it can be tricky to get them back in. Get a protective blanket for your lap, FDR-style. But aside from that, they’ll last a lot longer and withstand much more severe conditions than just about anything else (both in terms of the abrasion-resistant fabric, and the stretchiness, which will reduce the chances of a torn seam), and you’ll have a hard time going back. So I’ve rounded up all…that’s right, all the soft shell jeans I could possibly find, for a total of five (for men; options for ladies are listed towards the end). None have the blue/white varied color texture of regular denim, so when I say “jeans,” I’m referring specifically to the style of the pockets; horizontal hand pockets in front, and patches in back. Many of them use exactly the same fabric (known as Schoeller Dryskin), so they’re all good; you can just pick your favorite, and you’ll have a good time. These have been building quite a reputation as everyone’s new favorite pair of pants. They’re tough on the outside, soft on the inside, and they’ll handle the elements just as well as fancy social occasions. The dark colors, slim profile, and simple features keep things decidedly pristine, making these somewhat more upscale in appearance than most other options. You could easily wear this with a suit jacket and look great doing it, even though the fabric is tougher than any pair of jeans you’re likely to find. Outlier gave me a free pair of these to try out (check out a thorough review here), and they have all the great qualities you’d want in a soft shell, though with a slightly thicker, warmer fabric than most others; they’re also cut slim, and use 2-way stretch, rather than 4-way, so while they’re much stretchier than ordinary denim, you’ll feel some resistance when you lean down to tie your shoes. The fabric also distinguishes itself with the use of thicker, visible yarns. After trying this out, I much prefer this method, as it allows a much more natural texture, both visually and to the touch. It also allows more breathability, by allowing a slightly more open structure than tightly-woven, finer yarns. If breathability is a necessity, that’s what you want. They can still be pretty warm, though, thanks to the inner lining. They’re better in cooler weather for this reason, but moderate weather is fine too. Warm days would be tricky, though. These are a newcomer, but they’re really, really great. After all these years digging around for travel/outdoor/hiking pants, these have just about the most natural-feeling synthetic pant fabric I’ve found so far (on par with the Outlier Slim Dungarees), and happen to have the exact layout that is my personal favorite: standard jean pockets, but with a hidden zippered security pocket in the back right. They even have a smartphone-compatible 5th pocket (instead of that tiny coin pocket) for some extra storage. As they’ve also got 4-way stretch, they became an instant favorite of mine the moment I put them on. These are a little different from most soft shells. They use thick yarns to boost breathability, and they don’t have the soft, brushed interior of most soft shells, so they don’t overheat as easily, making them a lot more versatile than I would have expected from a pair of pants at this weight. 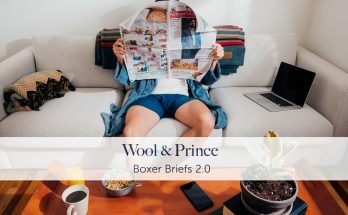 They’re pretty hefty, with a tough, structured, but natural feel, kind of like heavy-duty cotton canvas, but the unlined interior and thick yarns actually make them feel as comfortable to me as much lighter alternatives. I tend to overheat pretty quickly, so because of those factors, I’m having a hard time switching over to anything else after giving these a try. Western Rise reached out to me to see if I wanted to give these a try, but I had bought a pair for myself already (but I told them I wouldn’t say no to a second pair, which they were happy to send). Check out a review here. Update: Make sure to check out their new Evolution Pant, a lightweight version of the same design! The Mission Workshop Signal 5 pocket pant. These seem to be perpetually sold out, but they certainly look really great. With a slightly workmanlike aesthetic, including a pocket-knife pocket and a zippered thigh pocket, these are somewhat less dressy than others, but still casual and non-hikery. Mission Workshop is actually a lot more well-known for their bags, but they’ve been making forays into high-tech clothing as well, and this is a good example; 4-way stretch and great weather resistance, in a slightly thicker fabric than their other pants they offer. They keep their fabric weight unlisted, but I’d save these for cooler weather, given how easily a double-weave soft shell pant can heat up, especially when you’re walking around and building up a sweat. Soft shells were originally designed for mountaineering, after all. They’ve got the added bonus of including a hidden zippered pocket in one of the back pockets, making them extra travel-friendly, or handstand-friendly. They’ve also got a reinforced waistband, designed to stretch just a bit, but not enough to expand and fit differently by the end of the day. They use a slightly thicker, heavier version of Schoeller Dryskin, which still has the 4-way stretch, but I would say this is probably more suited to cooler weather than hot summer hikes (very similar in feel to the Outlier Slim Dungarees). They actually felt like sweat pants to me when I tried them on, and there’s no way I could wear them in anything but winter. They’ve also got a version labelled “Lite,” which I consider a lot better for hot-weather use, or even moderate climates, than the standard version. At 180 grams per square meter instead of the regular one’s 250, the light version is much better as a year-round item, especially if you expect to work up a sweat in the sunshine. Double-weave soft shells also adapt a lot more easily to cold weather than hot weather, since the inner lining retains some heat, so if you just move around a lot, you can survive a winter as well, if the rest of your gear can handle it too. 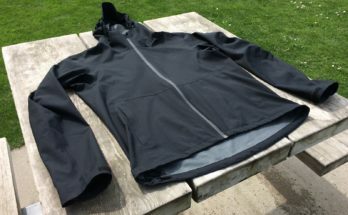 This is a slightly more affordable option, from QOR, whose fitness and cycling focus mean these have some concealable, reflective elements along with the travel-friendly features. Along with the regular 5-pocket jean style, they’ve got an additional zippered pocket in back, along a semi-concealed seam where it’s a little trickier to see than a regular zipper would be. I’d like it to be completely invisible, but it’s a lot better than others I’ve seen. The fabric is just a bit noisier than others, and feels more synthetic than most I’ve tried, but it was otherwise quite functional. It’s also one of the lightest of the options listed here, and great for summer weather. It has 4-way stretch, and the new version (currently called the V2) has a clever elastic waistband that doesn’t look at all like the weird-looking elastic waistband that hiking pants are so infamously known for using, as they managed to make it completely invisible. The pockets are a little on the small side, and it has quite a slim fit, so definitely go a size up if you’re between sizes. It’s really just the appearance, and the slick, shiny, swooshy fabric that made me save this one as more of a workout item than something for everyday use. QOR gave me a free sample to try out, though I had already ordered an older version before they made the offer. Oliver’s is a relatively new company that may not be on your radar, but among the options available is this 5-pocket soft shell pant, with nothing to indicate that it’s a high-tech item in any way. The fabric is light, designed for warmer weather, but, as with the others, soft shells tend to warm up more easily than you might expect, especially if you’re really pushing uphill or moving quickly. This is why I tend to prefer lighter soft shells (unless they’re unlined), so lightweight versions like these can be used pretty much year-round. The pocket layout is fairly standard, and although it has no zippered security pocket, its fifth pocket (usually referred to as the coin pocket) is designed to accommodate an entire phone, meaning that if you stash your phone somewhere else, you could easily store cash or cards in this deep, tight pocket that won’t be an easy target for pickpockets. 4-way stretch, a gusseted inseam, and a slim fit make it mobile and stylish. The seam layout on the back is a little unusual (known as the “yoke”) so give that a look to see if you’re fine with that. It’s the only unusual feature. Seagale is all the way over in France, which makes it a little bit tricky if you have to pay for international shipping, but if you’re anywhere over in Europe, this will actually work out even better for you. They’ve got a full range of head-to-toe gear, and are one of the very few companies over in Europe doing this sort of thing, so check them out if that’s local for you. The Seagale Jeans use a 4-way stretch soft shell fabric, in a weight that’s closer to the midpoint of the spectrum, so they’d be great in moderate weather, and transition either to summer or winter, depending on whether you get easily cold or warm. I tend to get warm easily, and with the inner lining that will retain some heat, I’d prefer winter use over summer use with a double-weave at this weight. They’ve got a casual style that’ll fit right in anywhere, and although they don’t have any extra security pockets, the “5th” pocket is extra deep, so you can stash extra cards or cash down there, effectively doing the job of a security pocket without the extra zipper, as no one’ll ever think to check down there. It’s a clever compromise that I think more people should do. The Prana Brion pants (reviewed here) are likely to be the cheapest casually-styled pseudo-soft-shell pants out there, occasionally going for as little as $50. The fabric has 4-way stretch (although the vertical stretch isn’t much), and is quite thin, so they’re not likely to be as tough or flexible as some of the others, but they’re still quite good, and better suited to hot weather. They’re my first recommendation if you want something with light soft shell performance, but at a significantly lower price. Ministry of Supply has a 5-pocket pant available as well, though I’m not sure if it’s a permanent part of the lineup. A few companies specialize in making cycling clothing that looks entirely normal (detailed here), with Makers & Riders and Swrve providing a few entries into this category that are worth a look as well (though often with bike-friendly features like slim-fitting legs). 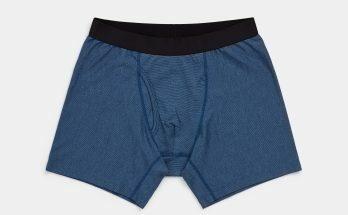 Barbell Apparel has a soft shell pant with super stretch and an athletic fit; I wish they’d mention their percentage of spandex and include some closeup photos, but it’s there, and in many colors. Well, maybe. I had a few options listed here, but most of them are now out of production. I think your best bet in the meantime is Betabrand, who offer yoga pants styled like dress pants, and some other options. Anatomie, Pivotte, and Outerboro should have some options, too. Western Rise makes the AT Slim Rivet Pants for women, too. Well, that’s all for the moment. As you can tell, I’m a big fan of jeans-style pockets, but always wanted some sort of fabric more appropriate for travel. “Real” travel jeans do exist (I’ve listed a few here, which have a blend of fabrics to achieve the blue & white color variation too look exactly like a regular pair of jeans), but these soft shells will offer even more serious performance, though with a different look than “real” jeans. But either way, I’m happy (and so are a lot of other people) with the combination of the world’s best style of pants with the world’s most versatile performance fabric. They’re pricey, and they may be out of reach for most people, but the good news is that for the next decade, you won’t need more than one or two. Hello, why no mention of the pants from ministry of supply? I bought some, as per your previous recommendation, and as they’re the cheapest and offered a “standard fit” option. As friendly feedback, the crotch stitching recently came undone while visiting my family during Christmas vacation after wearing them for a month. That is unfortunate…let them know. Some people stand behind their products more than others, especially people whose customers are online, and thus more likely to share their experiences. I didn’t include anything from Ministry of Supply on this list because I think all their pants at the moment have the dress pant style of pockets, rather than the jeans style. Update: I received a survey by email from Ministry of Supply shortly after posting here. I replied I was unhappy and they replaced the pants. Their customer service is top notch. The new pair is great. Good to hear. Nobody’s ever going to be perfect, but good people will fix things right up. Which of the men’s pants would best be suited to the heat/humidity of SE Asia (in March)? I’m heading to Vietnam and the Philippines, and am thinking about buying a pair of travel pants. Given the cost, I’d prefer they be versatile enough to wear in a wide range of situations (for many years to come), but what’s *really* important is that they are great for this upcoming 2 week trip. p.s. – I’ve really enjoyed reading your blog, especially your detail-oriented analysis of travel gear and your writing style. In that case I’d recommend avoiding “real” soft shells, because they’re going to be too warm for tropical weather. The aforementioned Prana Brion is a good one, as it’s significantly thinner, and therefore doesn’t quite qualify as a “real” soft shell, and it’ll be more appropriate for summer sunshine. The ones on this other list would work nicely as well. Thanks for the suggestions. The problem I have with the four travel pants you recommend in the other list you linked is that they all look like khaki dress pants to my eye. Perhaps they’re more business casual, but they don’t look like pants that would look good worn with casual shoes or sneakers. The great thing about jeans is that they look good regardless of whether they’re worn with sandals, sneakers, or dress shoes. For that reason I’d prefer to get a more casual pant like the Outlier SD’s, but preferably in a somewhat lighter and not-super-skinny cut. I agree that it would be helpful to have more colors than just khaki shades. Dusty trail colors are sort of a cliche, particularly in outdoor gear, although if they otherwise look nice then I’m fine with them. I think the Bluffworks in medium gray sort of passes for casual, as it’s vaguely similar to a faded pair of gray jeans. I’m OK with khaki as a color, as long as the fabric and the cut of the pant looks more casual. Having a blue/gray color in a more casual style technical pant would look sharp to my eye. For the Bluffworks pair you mentioned, I don’t see a “medium gray” color on their website, but they have a “classic gray”; is this what you mean? From those photos, the pants sure look like they belong with a coat and tie, but if you’ve seen them in person and think otherwise, I’ll take your word for it. Yeah, that’s the grey I meant; I agree that a matching jacket would look quite nice with them, but if you wear them with a t-shirt or a button-up shirt, I don’t think they’d look too out of place. My wife and I do splurge meals from time to time when we travel, so I need a dressier set of pants, but obviously I want to bring along a pair that can be worn everyday casually so I’m not just wasting pack space for a one night outfit. Which do you feel more strongly about, using the Bluffworks as a pair of pants that can be worn with a t-shirt without looking weird or actually wearing a pair of Outlier’s Slim Dungarees (or a similar gray pair of pants with jean-style pockets) to a fancy restaurant and not looking under dressed? Or do you have a better recommendation than either of those for this situation? I would say the Bluffworks are the dressier of the two, because of the pocket style and tweedy/grainy fabric, but the Slim Dungarees’ understated colors seem appropriate to just about anything except situations where you might be wearing a suit jacket. Either one can be dressed up or down quite a bit, so I wouldn’t worry about that as much as I’d take into consideration the Slim Dungarees’ slightly warmer fabric, making them more appropriate for cooler weather, and their slight stretch, which is nice and comfy. Some people say the Bluffworks look a little too dressy for casual use, but I think the brown and medium grey work just fine with a t-shirt. Thanks for the suggestions for ladies! I have the outlier riding pants and I love them! I tried anatomie, but it was like paper thin. I could see the outline my of underwear… And the fit was horrible. I think the rave reviews are because they are sponsored or given for free. Ick. Oh well. They do have a lot of options, so I assume their must be something there, but oh well. Would the PrAna Zion or the MountainKhaki Granite Creek fall into this category? I think the Prana Zion is the same material as the Prana Brion, so it’s a semi-soft-shell. The category is blurry enough that I think it sort of counts, but it’s not quite as strong or as weather-protective. Which if any of the soft shells are totally wrinkle free? I have a pair of 100% silk Tommy Bahama jeans with a subtle wale, a pair of 100% cotton Goldschmidt corduroys, and a pair of 100% tencel WeekendzOff drawstrings all three of which can be worn for a week with no wrinkles. All these fabrics will develop fold lines when folded, but if you wear them for 10 minutes they’ll disappear. The synthetic fabric and stretchiness never really develop wrinkles, and folds disappear pretty quickly. Your posts have sold me on a lot of items in the past and I am thankful for the useful info and insights. I have a pair of Prana Zions that I took with me to Europe last year which I found were fairly useful overall but lacking in the style category. Having just purchased the Mark II from Thunderbolt a few weeks ago (thanks to this post), I am very excited to try them out on my upcoming trip this summer. I just wrote a review on Thunderbolt’s website regarding my first impressions and thought it might be useful to share on here as well to get one more user’s perspective. “I am about to start a three-month backpacking trip through Europe and wanted a high-performance, durable pant that would be casual enough for everyday use while also dressing up for nicer occasions. On past excursions, I wore the typical travel pant that got the job done but never felt quite right for anything “typical” (walking the city, going out at night, etc). During every one of these trips I found myself wishing I had a nicer pant that didn’t make me feel so grungy. The material is stretchy and does indeed repel water, which means I may end up trying these out on hikes as well. While I haven’t been in any hot weather yet, thanks to the lightweight breathability of the fabric I did not find the black soft-shell at all uncomfortable in sunny, mid-70s weather. Those are in fact the ones that are most getting my attention as well. I have a bit of an obsession with jeans-style pockets, but also need somewhere safe to put a wallet, which means their zippered back pocket is perfect. It happens to be the ideal pocket layout for me, and the materials and design in general are pretty great. A year later and these have easily become my favorite overall pant. They can be dressed up or dressed down (I wore them with a bowtie to an orchestral performance in Dresden last summer and for once did not feel under-dressed while traveling). The material feels very nice, though it does tend to be a bit too warm for my liking in hot or muggy weather. The security pocket is very subtle and blends in well with the overall look. Great list! Planning a long trip to SE Asia in the upcoming winter and have found a ton of useful information on gear and the more practical side of traveling light. In some research for clothing I came across these. Perhaps the first warm weather true denim style man made material blue jean? Curious what you think. I’ve seen some from Agave Denim made of pure Tencel, though they’re so hard to find that it’s barely worth trying to find them. But yes, they’d work much better than cotton; they’re more absorbent and dry faster, so they’d work nicely in warmer weather. They won’t do well in the rain, though. Tencel soaks up water like a sponge, so it’s better for next-to-skin layers rather than outer layers, but if you’re heading somewhere relatively dry, it would be great, and even in light rain, it’ll dry fast enough that it might not ruin your day. While I am sure they do not meet all the requirements, I came across some “travel” denim jeans from Jos A Bank for $34. Called my local store they don’t have in stock or I’d go check some out. Has anyone ever seen or tried these? Whenever a company doesn’t list the fabric composition, I generally assume it’s nothing special. Sigh. I mean, it could be anywhere from 0% polyester to 100, and they just don’t say. While not technically a soft-shell pant, I love traveling in my 5.11 khaki pants. http://www.511tactical.com/covert-khaki-pants.html They are lightly water resistant (see the video) and have some very nice features for travelers. Both legs have side-seam zippered pockets which are good for pickpocket deterrents for things like passports and cash. The front pockets are extra deep so things don’t drop out if you are doing squat toilets in Asia. :) They are also dressy enough that I can add an Icebreaker polo shirt and be dressy enough for almost anywhere. It also lets you look a bit dressier when going through airport security. 5.11 also makes some nice cargo pants that I travel with as well, though for some people they might be a bit warm in climates like we have here in SE Asia. I have a Bison Designs belt too, although I got one of the metal ones. I like how they make flat, light belts; thick leather doesn’t work so well with backpack hip belts, whereas thin nylon webbing works perfectly. Also consider the Black Diamond Modernist Rock Jeans. They are Schoeller material and on discount at many places right now as inventories cycle. I just ordered some at 55% off after reading of others good results with these pants. Yeah, I like those too, though they’re a bit too slim for me, but of course that’s just a matter of taste. I like how they’re designing things to be used on and off the mountain, since most everyone spends more time off than on.